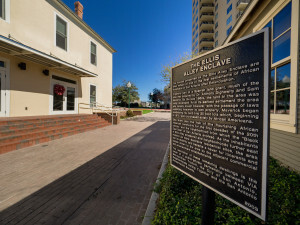 Austin, Texas — Preservation Texas, Inc. has announced that the rehabilitation of historic Ellis Alley buildings in San Antonio, Texas will receive a 2016 Honor Award on February 18, 2016. 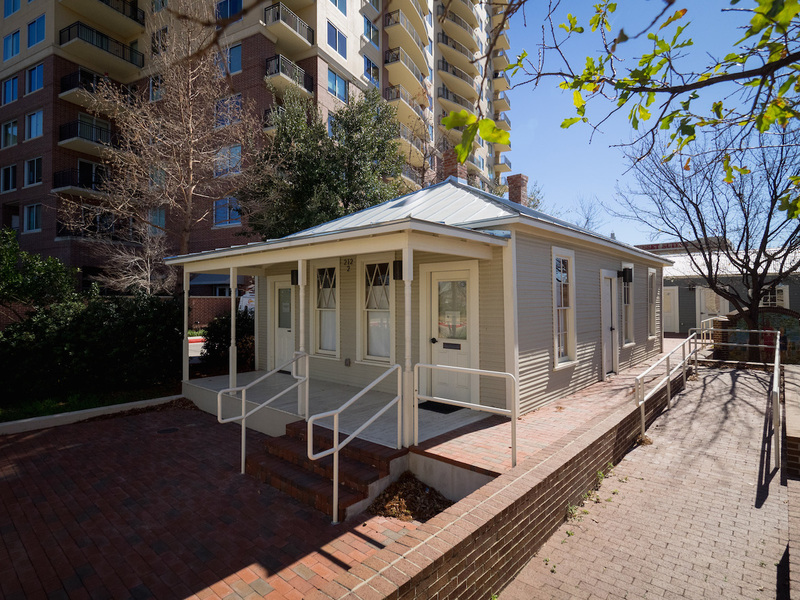 The Honor Award will be presented at a special ceremony at the historic State Theatre on Congress Avenue in Austin as part of the Preservation Texas 2016 Summit. 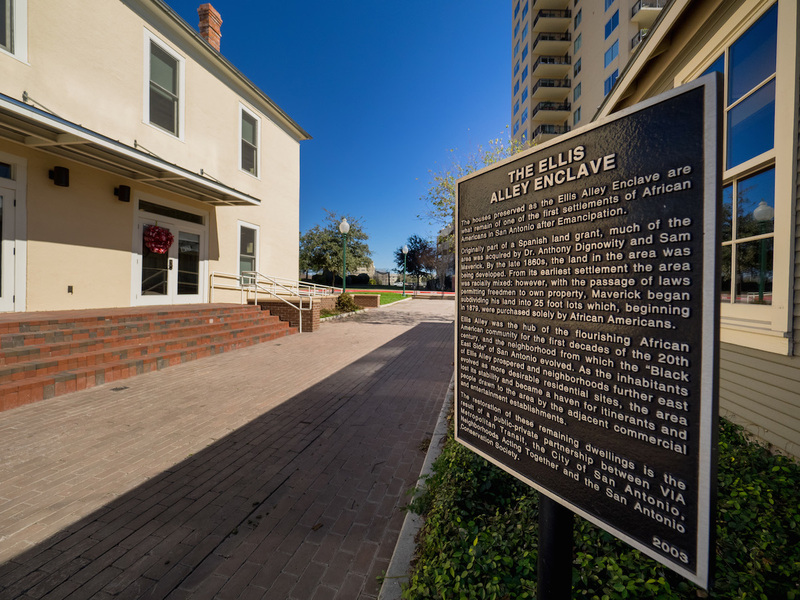 The Ellis Alley Enclave represents the remnants of the first African-American “freedom colony” in post-Civil War San Antonio and was a hub of the city’s African-American community through the first decades of the 20th century. By the 1990s, the area was in the crosshairs of demolition, but preservation-minded individuals from a number of organizations, public and private, championed its significance and changed the narrative. In 2009, it was determined that demolition of three structures built between c. 1895 and 1910 would be a significant loss to the city’s heritage. Guided by the San Antonio Conservation Society and its executive director Bruce MacDougal, the owner rehabilitated the Ellis Alley houses in accordance with the Secretary of the Interior’s Standards, The rehabilitation has served as a catalyst for economic development. In addition, a public display is under development, acknowledging the important history of the community. The project team included VIA Metrpolitan Transit; Ford, Powell & Carson Architects and Planners, Inc.; and Mainstreet Architects, Inc.